Dreams Come True: Art of the Classic Fairy Tales from the Walt Disney Studio also will include artwork from the upcoming Walt Disney Animation Studios musical, The Princess and The Frog. NEW ORLEANS, LA.- From November 15, 2009 to March 14, 2010, the New Orleans Museum of Art (NOMA) will present Dreams Come True: Art of the Classic Fairy Tales from the Walt Disney Studio, a major exhibition featuring more than 600 original artworks that shaped legendary animated features including Snow White, Cinderella, Sleeping Beauty, The Little Mermaid and Beauty and the Beast. Dreams Come True: Art of the Classic Fairy Tales from the Walt Disney Studio also will include artwork from the upcoming Walt Disney Animation Studios musical, The Princess and The Frog, an animated comedy from the creators of The Little Mermaid and Aladdin, set in New Orleans and due for release at Christmas 2009. Visitors to the exhibition will encounter themed rooms showcasing artwork related to specific animated features. Arranged chronologically by year of release, the rooms will feature, in order: Silly Symphonies, Snow White, Cinderella, Sleeping Beauty, The Little Mermaid, Beauty and the Beast and The Princess and The Frog. Film clips will accompany the artwork to demonstrate how individual sketches and paintings lead to a finished celluloid masterpiece. An adjacent Education Area will highlight Disneys long association with music and also will serve as a mini library for animation research and storytelling programs. When the free-spirited, jazz-loving Prince Naveen of Maldonia comes to town a deal with a shady voodoo doctor goes bad and the once suave royal is turned into a frog. In a desperate attempt to be human again, a favor in exchange for a fateful kiss on the lips from the beautiful girl, Tiana, takes an unexpected turn and leads them both on a hilarious adventure through the mystical bayous of Louisiana to the banks of the almighty Mississippi and back in time for Mardi Gras in New Orleans. An unforgettable tale filled with music, humor and heart where two frogsalong with the help of a 200-year-old voodoo priestess, a love-sick Cajun firefly, and a trumpetplaying alligatordiscover that what they want isnt as important as what they need. The Princess and The Frog will feature Disneys first African American princess, Tiana, who lives in New Orleans during the Jazz Age. Other characters include Louis, a trumpet-playing alligator, and Ray, a love-sick Cajun firefly. 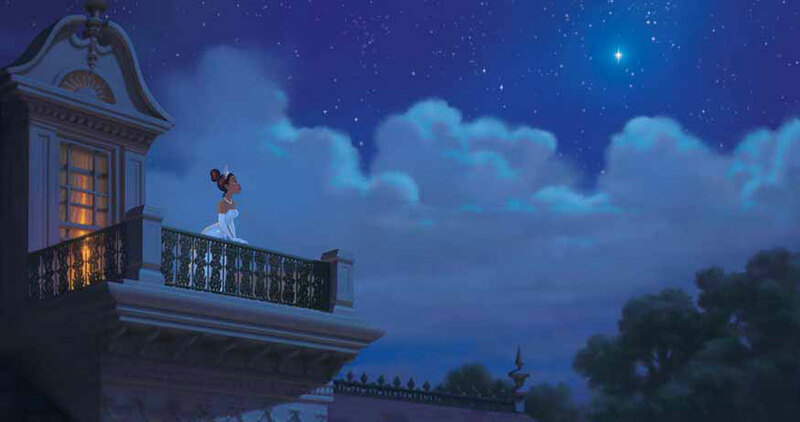 The Princess and The Frog marks the return to hand-drawn animation from the revered team of John Musker and Ron Clements with music by Oscar®-winning composer Randy Newman (Monsters, Inc., Cars, Toy Story). Acquisition of Buten Wedgwood Collection Makes Birmingham Museum's Holdings Largest in U.S.